The Executive Assistant to the Mayors of Cambridge for almost 40 years and The Queen’s representative in Cambridgeshire will both be honoured by the University of Cambridge today. The honorary degree of Master of Arts (MA) will be conferred on Sue Edwards, who worked for the City Council from leaving school as a teenager until her retirement last November, and on Sir Hugh Duberly, HM Lord-Lieutenant of Cambridgeshire. 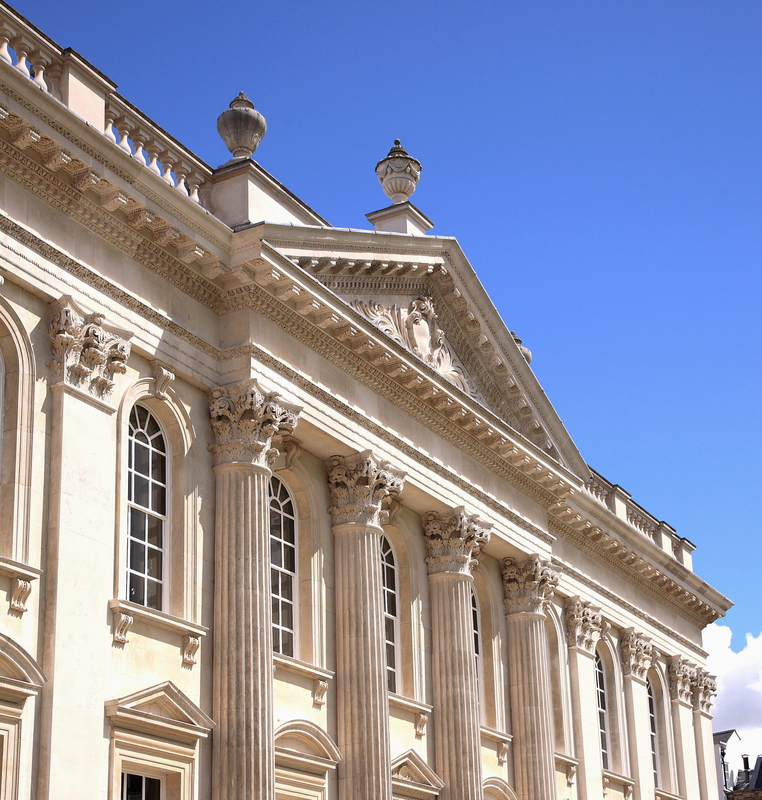 The Vice-Chancellor of the University, Professor Sir Leszek Borysiewicz, will admit them to their degrees during a Congregation in the Senate-House, after Latin speeches by the University's Orator, Dr Rupert Thompson. Edwards was born in Cambridgeshire at Landbeach, and began work in the Town Clerk's Department at The Guildhall at 15. Early duties included delivering post to the Colleges and other addresses in the City, but she soon moved to the Mayor's Office, where she supported and advised the mayoralty in its civic and charitable work for the next 39 years. She worked for 34 mayors during that time, assisting with Royal and VIP visits to Cambridge and civic ceremonies, often working with the University and partners across the Cambridge community. As well as ensuring continuity across the yearly transition from one mayor to another, Edwards nurtured the City’s international profile and helped to build links with Heidelberg in Germany and with Szeged in Hungary in her other role as Civic and Twinning Officer. Described as an outstanding servant of the City and of the local community by former Mayor of Cambridge, Dr George Reid, she has also been made a member of St John’s College this year. Dr Reid said: "The University has customarily honoured a few from the wider society of its own locality who by qualities of character, service and achievement recognisably – though not always in ways easily defined – stand out as exceptional. Sue is one such person, as became ever-clearer during my time on the City Council and unmistakeably plain when I held office as Mayor of the City of Cambridge in 1990-91. “The honour thus bestowed by the University is immensely appreciated by its recipients, but gives great pleasure on a much wider scale. 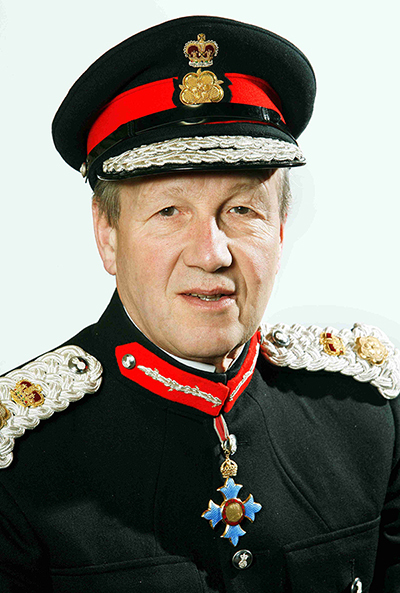 Sir Hugh Duberly is HM Lord-Lieutenant of Cambridgeshire, the Crown's non-political representative in the County with responsibility for escorting Her Majesty the Queen and other members of the Royal Family when they visit, and 'upholding the dignity of the Crown'. Sir Hugh, who has been a member of Wolfson College since 2006, has contributed widely across public life in Cambridgeshire and the region over many years. He was an independent councillor, chairing the Ely Diocesan Board of Finance since 1992, a Crown Estate Commissioner and former chair of both the Papworth and Shuttleworth Trustees and the Governors of Kimbolton School. He has also been President of the Country Landowners' Association. Sir Hugh has also encouraged civic, voluntary, business and social activities across Cambridgeshire, supported the Reserve Forces and Cadets, attended in person or by deputy Citizenship Ceremonies and had responsibilities for the selection of new magistrates. High Sheriff of the County 1991-2, Duberly was appointed CBE in 1996 and knighted as a KCVO in 2015. Since becoming Lord-Lieutenant in 2003, Royal visits to the University and its Colleges and to the City have been frequent, making his advice and support essential to all those involved in hosting. Former Head of the Vice-Chancellor’s Office, at the University of Cambridge, Matthew Moss, had responsibility for the University’s contact with the Households of The Queen and members of the Royal Family over Royal visits and so worked closely with Sir Hugh as Lord-Lieutenant. He said: “We’re colossally grateful to Sir Hugh for his careful guiding hand over the past 10 years. Not every county in the UK has a thumping great university in it, and the University of Cambridge gives Cambridgeshire’s Lord-Lieutenant a great deal of business - we work in close partnership. “HM The Queen visits the University and Colleges not infrequently as does the Prince of Wales and the Duke of Cambridge, and of course Prince Philip visited up to five times a year in the 30-odd years he was Chancellor. “These visits are hugely important occasions for Collegiate Cambridge and require a great deal of collaborative effort – but they help us celebrate the amazing impact our researchers and lecturers and support staff have, so it’s important to get it right.